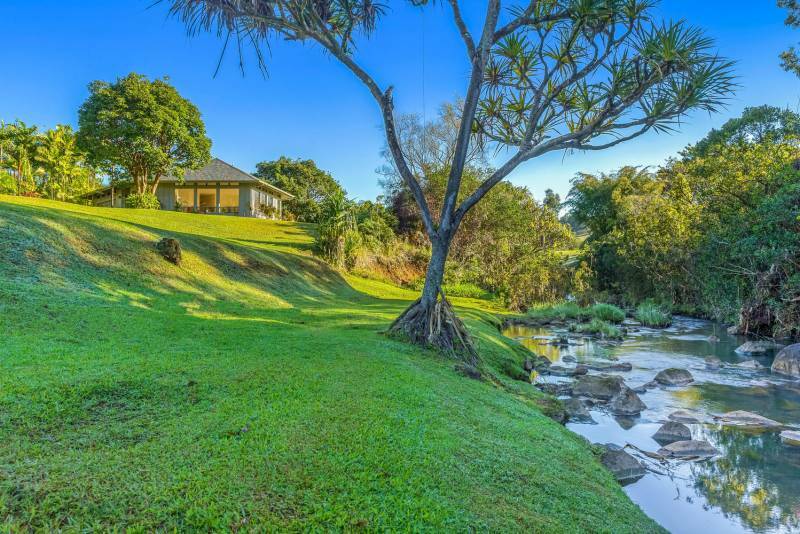 This property is true serenity. 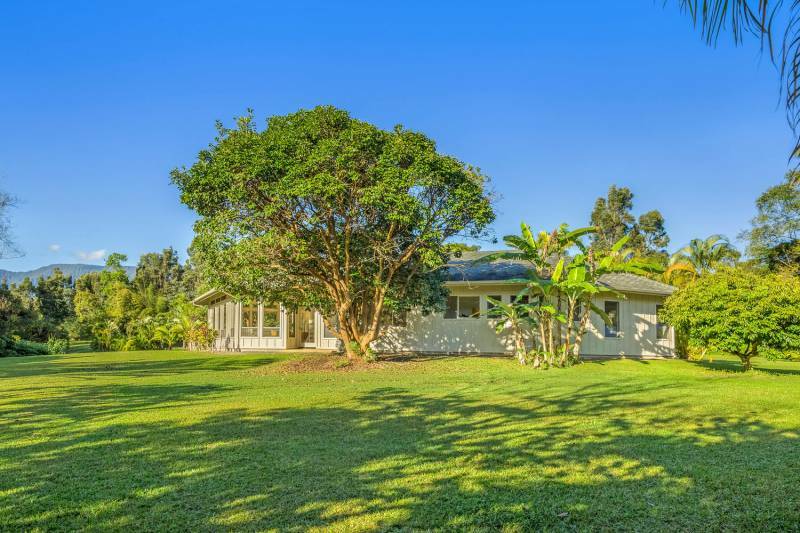 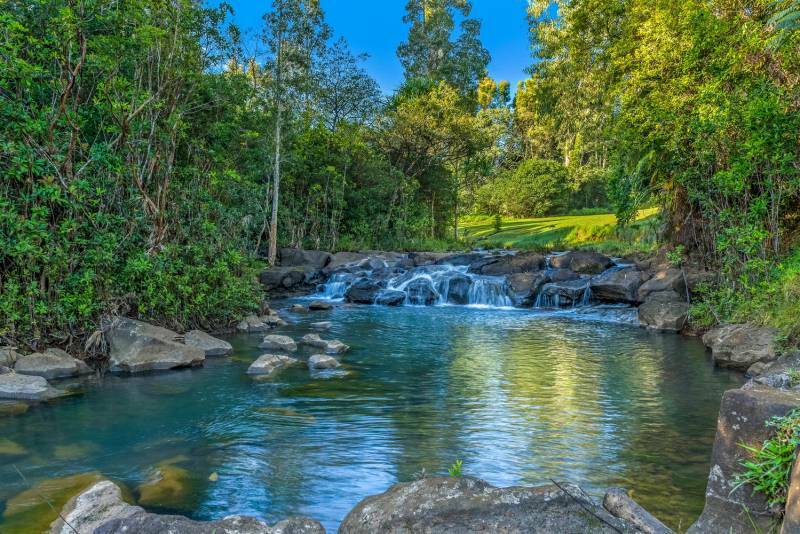 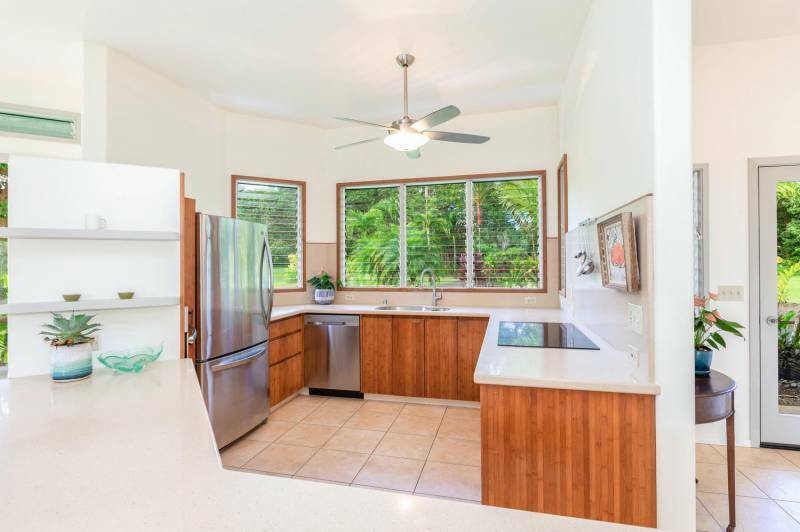 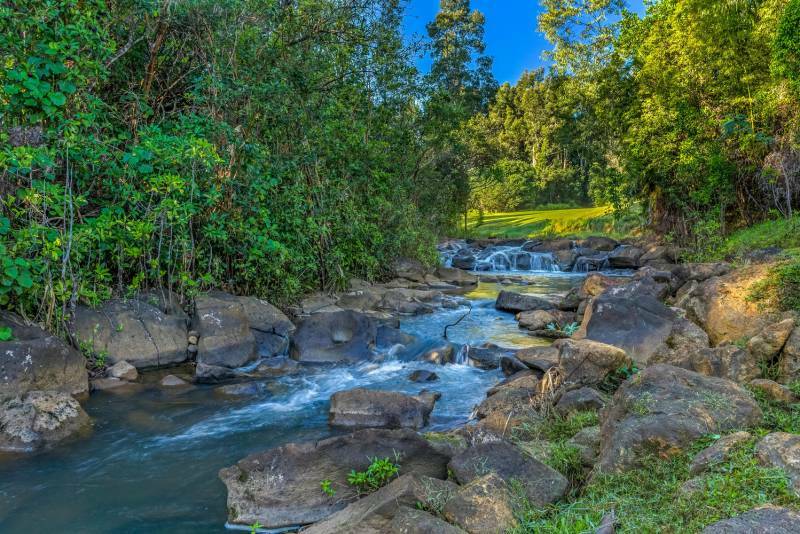 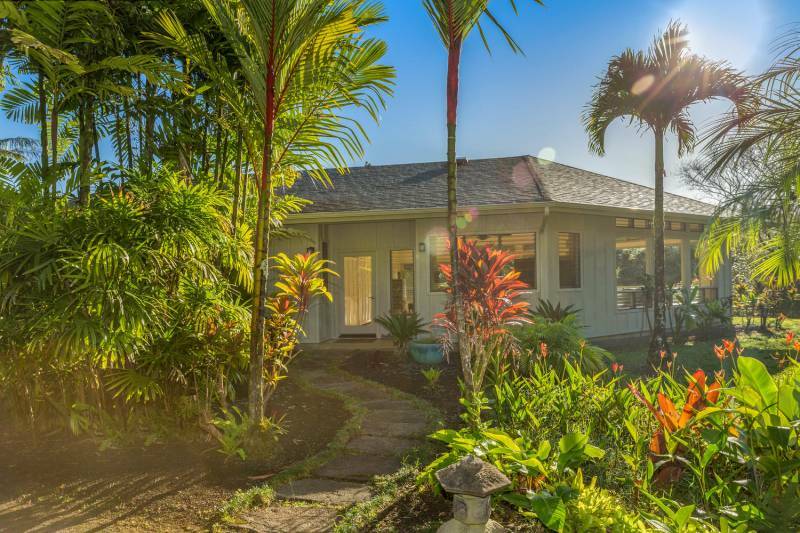 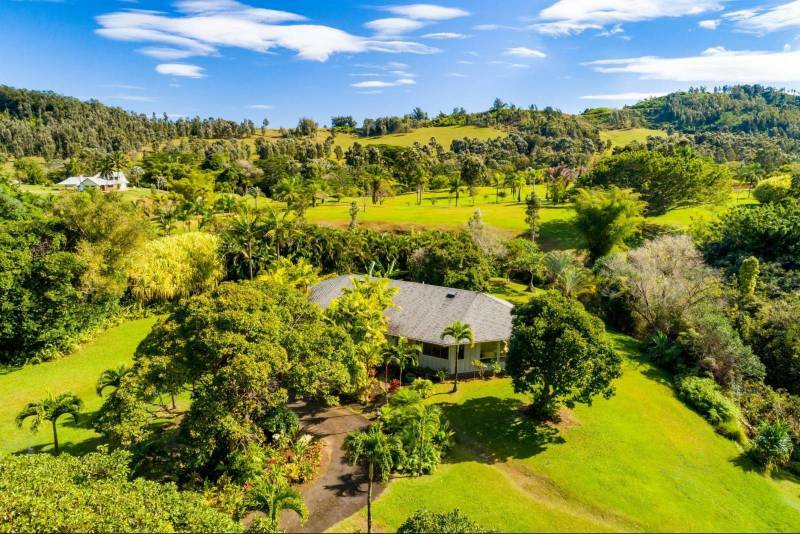 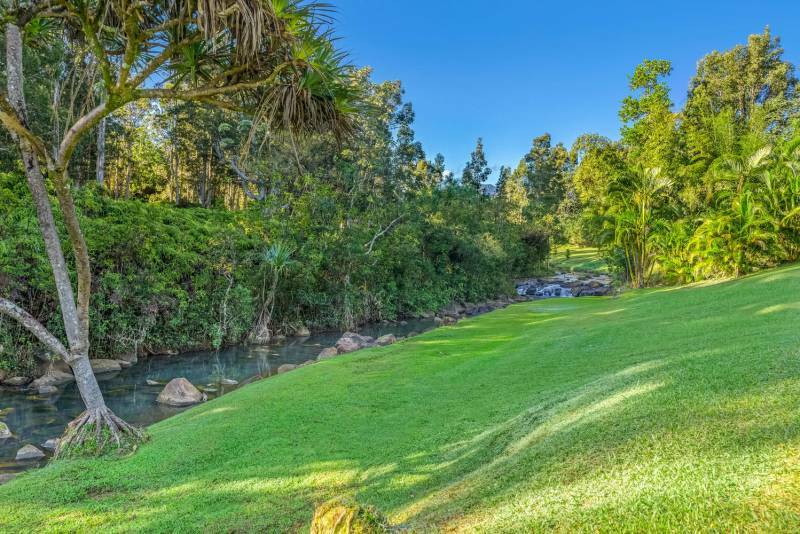 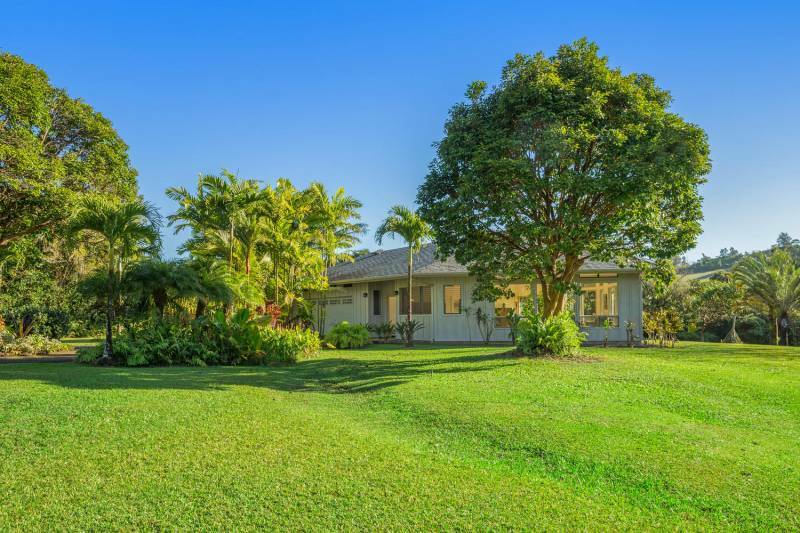 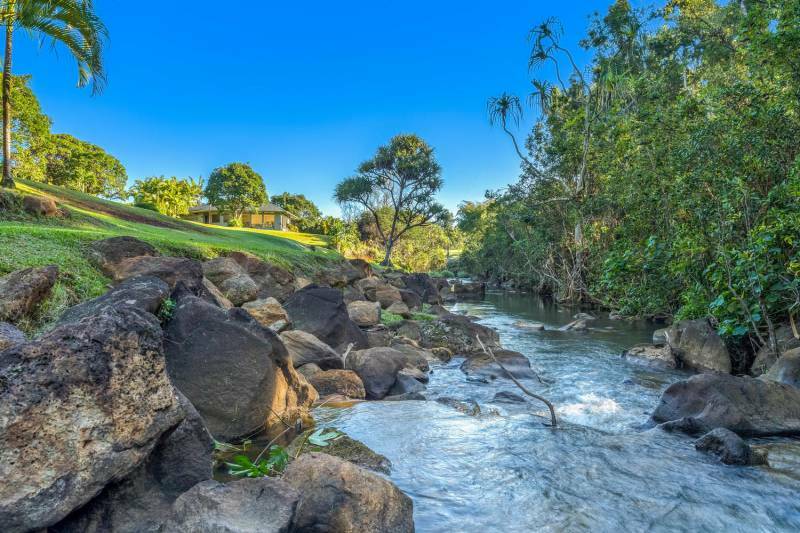 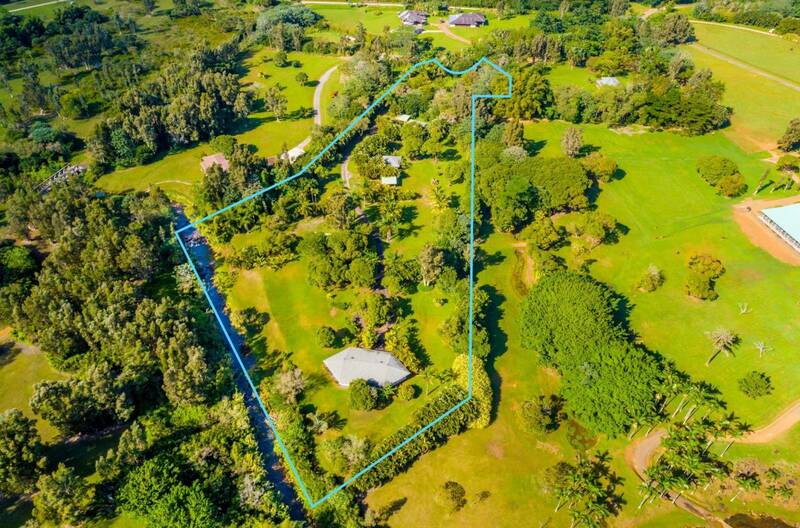 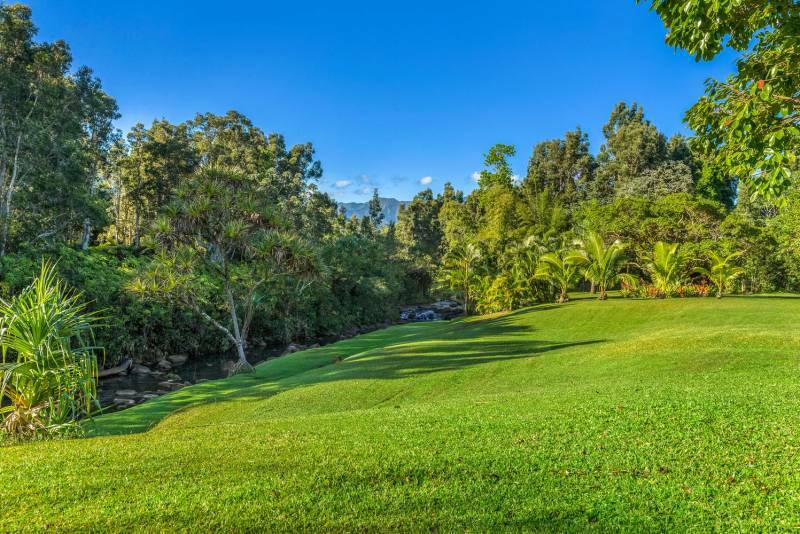 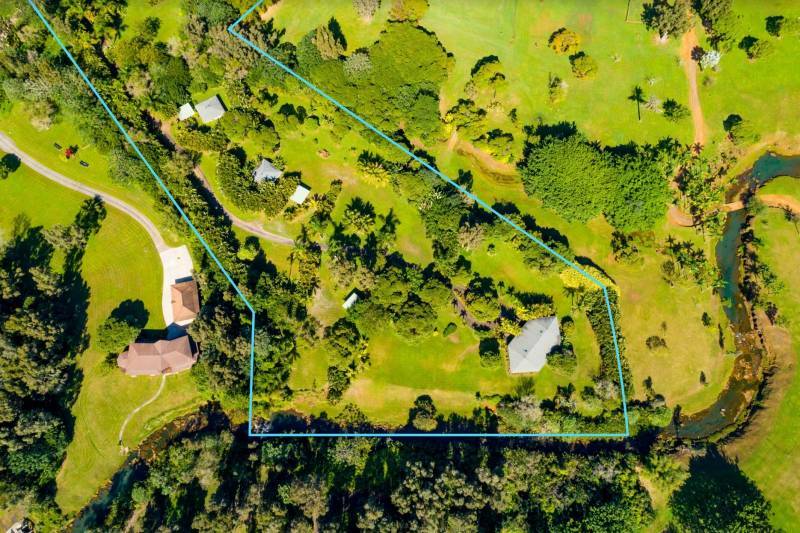 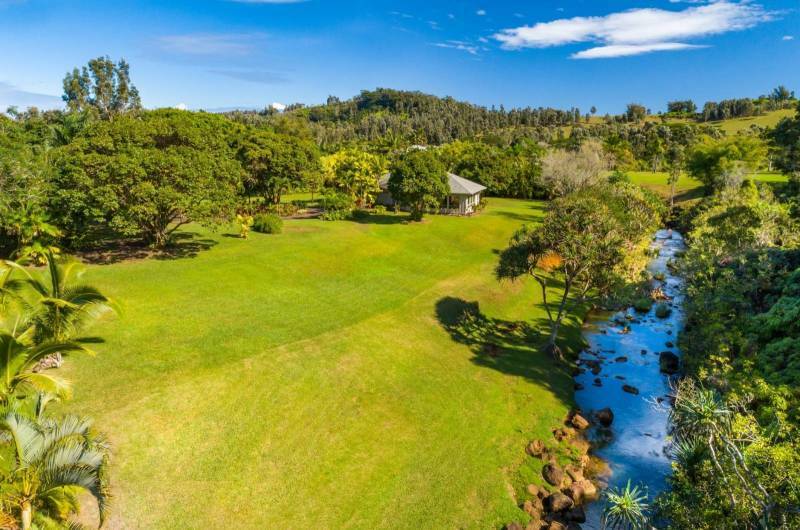 Offered for sale at $2,000,000 (MLS #624732), this five-acre property is located in the North Shore subdivision of Kalihiwai Ridge. 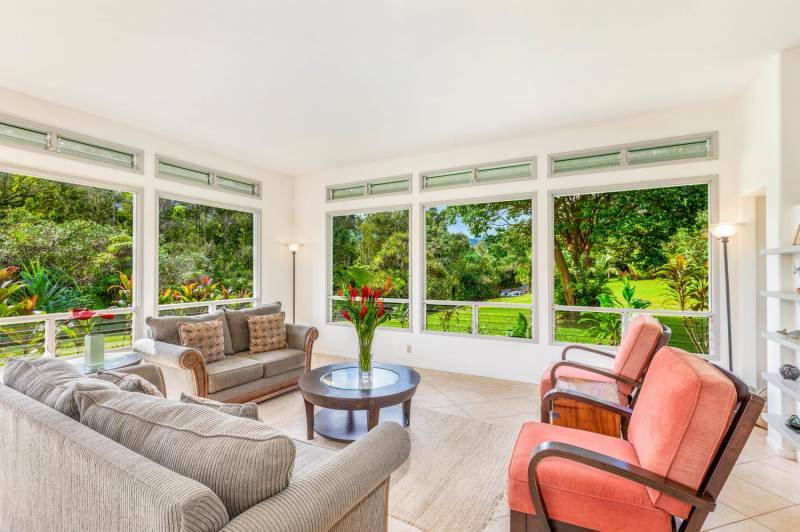 The property offers a 1,750 sqft, thoughtfully designed 2 bedroom, 2 bathroom home that takes full advantage of the surrounding natural beauty. 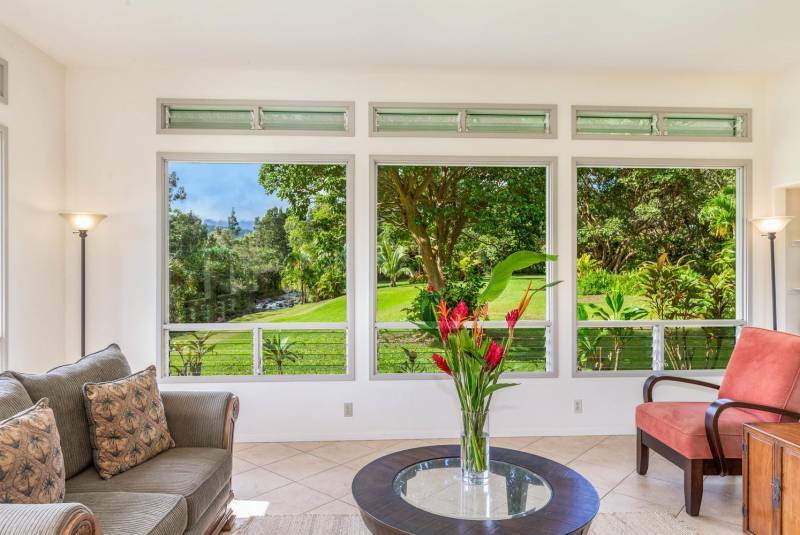 The home features an open floor plan where living area windows frame your very own cascading waterfall. 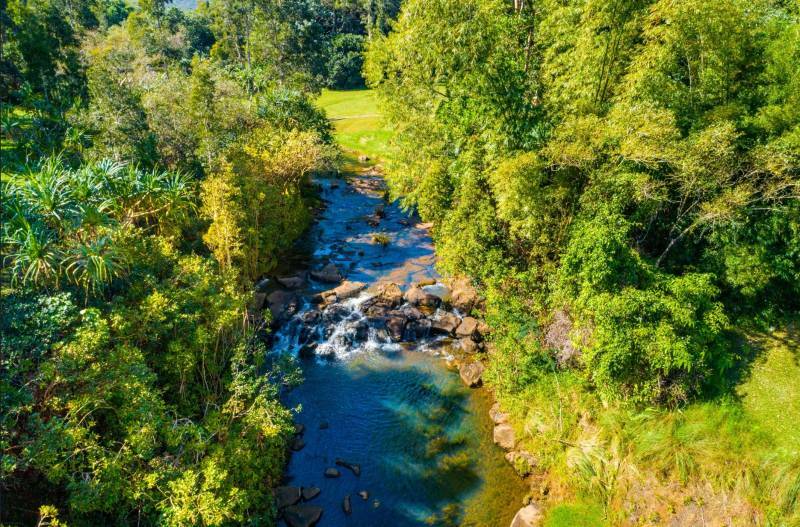 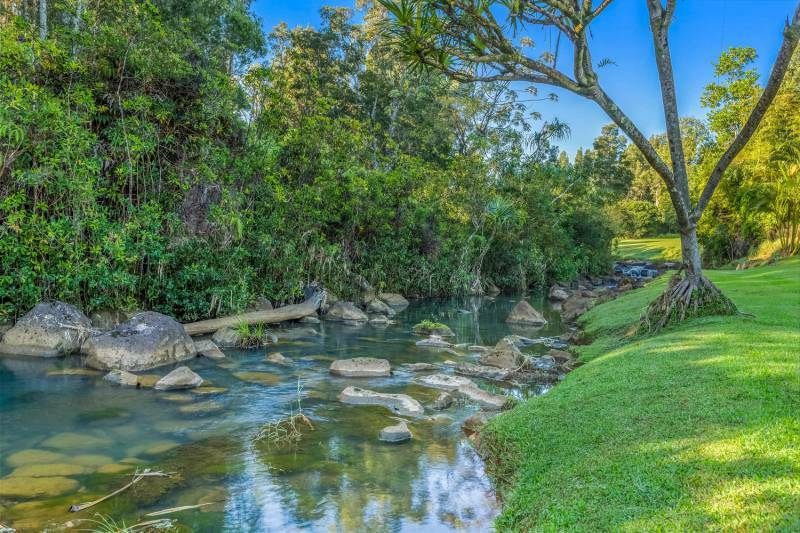 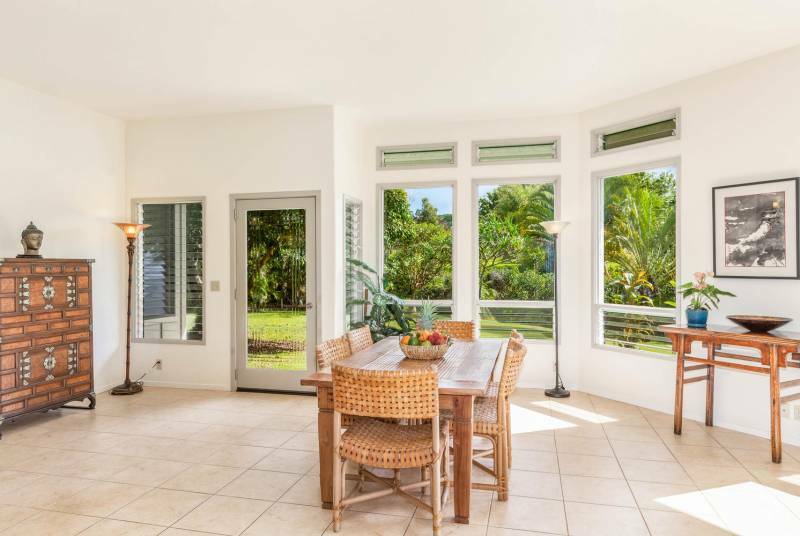 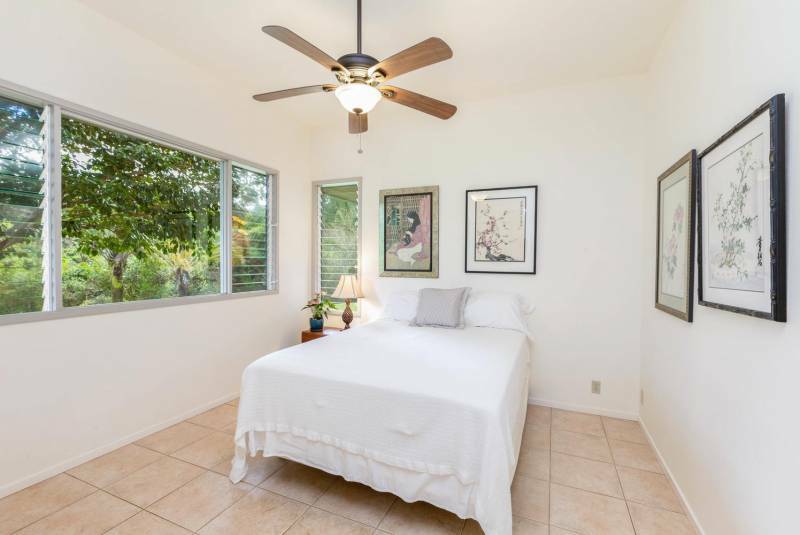 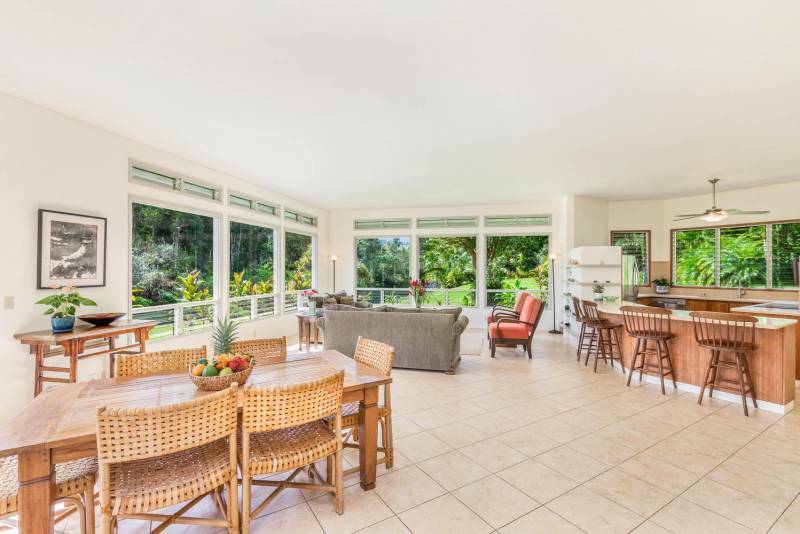 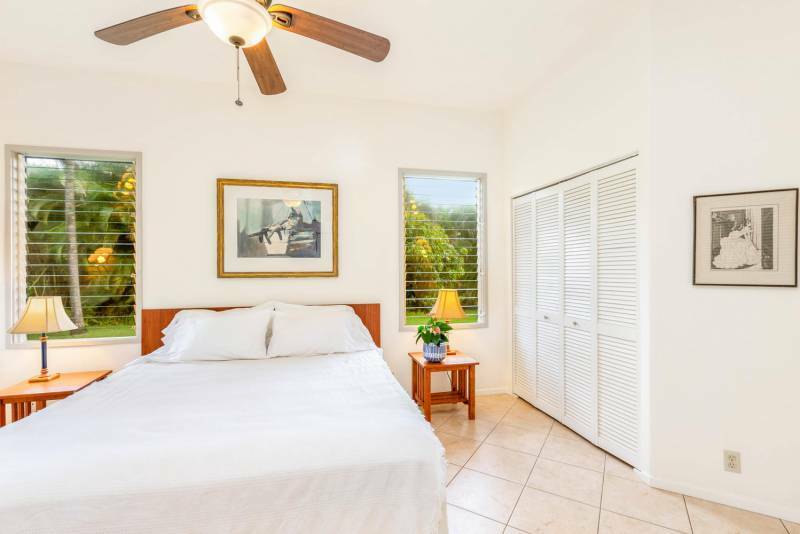 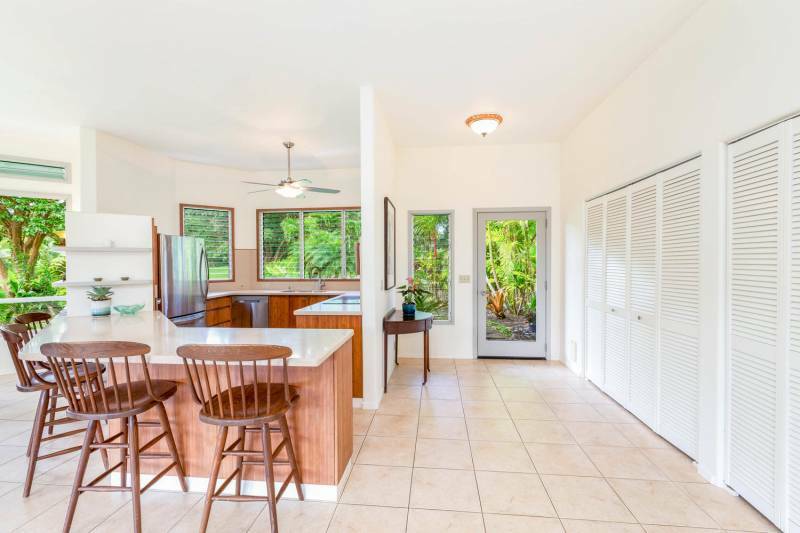 With over 5 acres of land and over 400 feet of stream frontage along the Pohakuhonu Stream, this offering is an extremely private, tropical sanctuary.